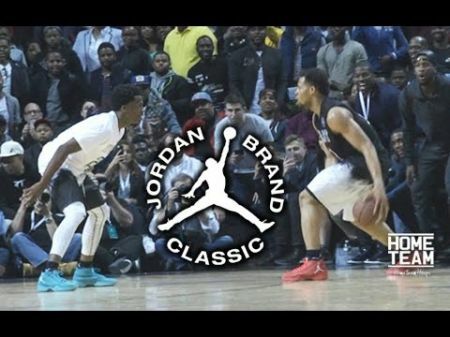 The 18th Annual Jordan Brand Classic roster has been announced. The high school All-Star basketball game is played annually in April and features the best recruited senior boys. At this year's Jordan Brand Classic, the home team is supported by five-star point guard Cole Anthony who has not yet made a commitment to a college. On the away team, five-star player James Wiseman highlights the field and he has made a commitment to Memphis. D.J. Jeffries, always on the away team, has made his commitment to Memphis as well. Overall, Duke has the most signees with three (Vernon Carey Jr., Rejean Ellis and Wendell Moore). The game will be played with five players not yet having committed to a college. The All-Star Jordan Brand Classic will be held at the T-Mobile Arena in Las Vegas, Nevada on April 20. It should be noted that the date is subject to change should the event conflict with an NHL Playoff Game. Tickets for the Jordan Brand Classic are on sale now via AXS.com. For pricing and availability, more information can be found by clicking here for event details. The Jordan Brand Classic comes from a division of Nike named after the iconic Michael Jordan and players are selected from the top 100 ranked by scouting services. Former Classic players include LeBron James, Kevin Durant and Chris Paul. For the Jordan Brand Classic roster, see below.